Healing takes time, so while you should be able to enjoy many of the joys that the holidays have to offer, take it easy on your body and mouth. 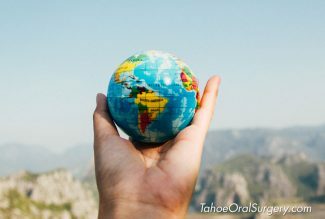 Many people choose to coordinate an oral surgery procedure with a scheduled break from work or school. 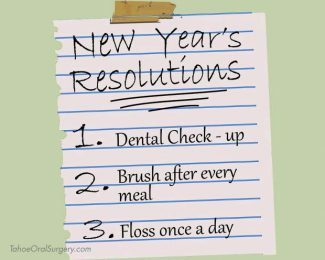 With the holidays quickly approaching, you might be considering taking care of a tooth extraction, dental implant or scheduling your kid’s wisdom teeth extraction during the upcoming break. One of the common concerns we hear from patients scheduling procedures before the holidays is about the enjoyment of foods, family activities and travel. 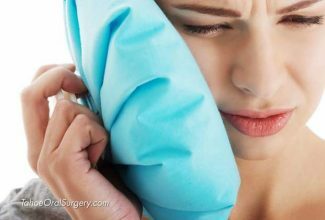 Rest assured that, while you may need to alter the foods you eat and the activities you participate in, you can still enjoy the holidays while healing from your oral surgery. It’s important to rest and focus on your healing after you undergo oral surgery. It is normal to feel “foggy” for up to 24 hours after a procedure done under IV sedation. We typically recommend reducing activity for the first couple of days, as exercise and strenuous activity cause increased blood flow, which can cause more discomfort and swelling. Additionally, if you are not eating and drinking enough after surgery strenuous activity may lead to a feeling of dizziness or lightheadedness. This will begin to decrease after the first few days. 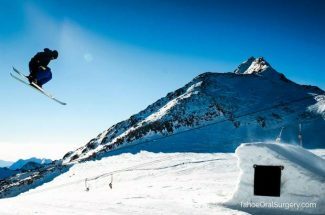 For most procedures, flying doesn’t present a significant hazard after the first few days. There are certain cases, however, where we may recommend an extended waiting period before air travel. If you are planning to travel by car or train, just give yourself a couple of days rest first, and you should be fine. Swelling and bruising are common after surgery, but shouldn’t be increased by travel after the first few days. To reduce swelling and discomfort, icing the area after the procedure is very helpful. You can make a cold compress out of an ice pack, a plastic bag filled with ice, or a bag of frozen peas or corn. Any other foods you enjoy that do not require significant chewing are also great options, as are nutrient shakes such as Ensure or Boost. As you continue to heal, you can gradually re-introduce firmer foods back into your diet. 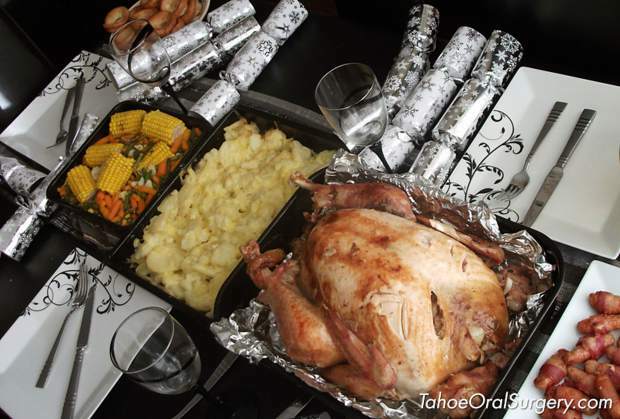 After several days, you should be fine eating most of the foods on the holiday table, including turkey, but stay away from bones, and try to eat more of the softer foods, such as mashed potatoes and stuffing. This is the area that will be most affected by your post-surgery healing period. If family and friends are playing active games, you’ll want to sit them out and watch from the sidelines. Prepare alternatives by bringing board games or card games that multiple people can play. All in all, the main thing to consider is that healing takes time. While you should be able to enjoy many of the joys that the holidays (and holiday foods) have to offer, take it easy on your body and mouth and don’t push it too hard. If you start to feel weak or faint, or notice an increase in bleeding or swelling, your body is telling you to take a break. 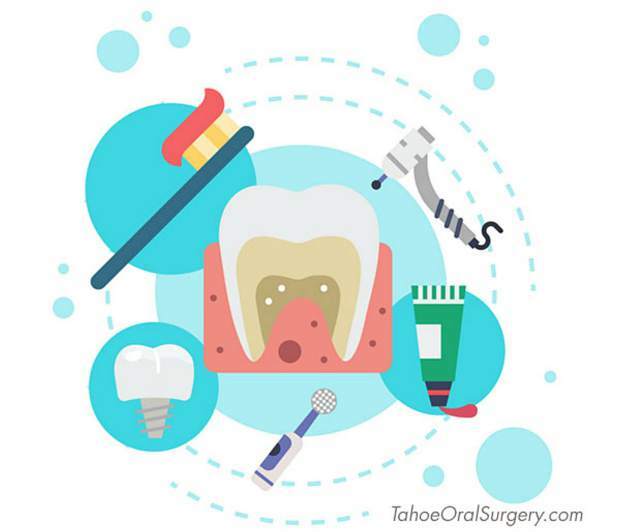 If you have any questions or concerns about an oral surgery that you are considering, or would like more information about your specific condition and approximate healing times, please don’t hesitate to contact us directly at Tahoe Oral Surgery and Implant Center.